They won't be in flower here for weeks, but they were one of my mum's favourite flowers. A special Easter welcome to Chrissie D, the latest follower. Thank you for joining! When I bought the Singer 201K treadle it came with a couple of books. This is the 1952 edition of Practical Home Dressmaking, published by Odhams. This picture worries me a bit. All clean lines and fearfully modern. Where's the mess??? Ten panels are now completed, and this is one of my favourite fabrics of the fat quarters that I have quilted this week. It goes really well with the panels I did last week. Pretty and delicate, and especially important when doing free motion quilting, I can see where I have already been. It wasn't so easy with this darker floral piece. I have learnt that with a pattern I need to quilt in daylight rather than using artificial light. I have an anglepoise lamp shining down from the windowsill just above me when I am treadling, so I can quilt paler, less busy fabrics in the evenings. This blue material was a complete pig to work with, even in natural light. You can barely see the quilting on the right side because it blends in so well. Hence the close-up. This is the back of the blue panel. The first nine panels turned out fine. I waited until the tenth panel to make a complete and utter dog's dinner of it. Some seriously bad and nasty rumpling had been going on underneath. All carrying on from yesterday's botch job biscuits, I suppose. It's because I have been using brushed cotton for the backing and it doesn't glide so easily. I am determined to be blasé and not grumpy about it. I intend to cut the panel into four smaller pieces, and these rumples fall where I shall be cutting. I'll fudge the quilting into passable shape when I do the cutting. 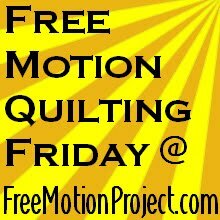 This post is being linked to Leah Day's free motion quilting blog so you can follow the links and see what wonderful work is being done by some jolly clever quilters. Special thanks to Mary Ellen, Laura Jean and Marianne for being so sweet about the dodgy looking biscuits. I will have another go sooner rather than later. Welcome to the latest follower, Sheree Isola. Thank you for joining! ... but it's a good three years since I made these and I've ever so slightly lost the knack. They should be prettier than this. Not that anyone here cares, they'll soon get scoffed. The recipe for cinnamon and butter pinwheels will have to wait until another day. Welcome to the latest followers, P (yes, just P) and Britt G. Thank you for joining! Last week I bought a job lot of 32 bobbins from a charity shop knowing that they might fit my Singer 15K machines. I knew they were the right type of bobbin, and I knew I would be lucky if half of them fitted. Here is the first problem. Some won't even fit onto the spindle of the bobbin winder. The orange thread was already on the bobbin when I got it. All the bobbins were wound with rubbish synthetic thread. Others will go on, but then the tab of the bobbin winder gets jammed between the two sides of the bobbin so the winder can't turn. These are cheap and nasty modern bobbins. You can recognise them fairly easily. They have a join along the central tube, whereas vintage bobbins have a solid metal tube. It is very irritating when you buy them from a sewing shop and end up having to take them back. It is even worse getting duds through the post from a supplier. However I was glad to get a load from a charity shop and pay over the odds and know the money was going to a good cause. I might even get 15 good bobbins out of this little lot. This is what I kept getting at the beginning of a line of stitching on the Singer 15K - this is the underneath of the work. The black is the bobbin thread and the white the top thread. I was getting these annoying snags when using the treadle and thought it was me doing sloppy footwork. Then I found I got the same problem with the 15K hand machine that I have just cleaned up. It must be to do with how the stitch is formed with the central bobbin mechanism. The top thread forms a loop on the back of the work. Sometimes it doesn't get caught in the stitches, so you can just pull it tight afterwards, but usually it ends up in a bit of a tangle as in the top picture. The way to prevent this happening is to hold the end of the top thread when beginning a line of stitching. This holds the thread firm so it doesn't get pulled underneath to form a loop. Once two or three stitches have been done you can let go of the thread. Welcome to two new followers today, Lourdes Johnson and Tammy Liddell - thank you for joining! It has a beautiful Celtic design and positively gleams after a good going over with the metal polish. When I got this machine I enjoyed visiting Gavin Henderson's blog Oil and Thread and studying his 1950 version of the same machine. Same cabinet, same decals, but Gavin has the post-war striped faceplate and rear plate, and there are a couple of other minor differences. Not only has Gavin been cleaning up machines, but he's been doing some serious sewing too. You will have to search his blog and find a very nice felled seam. This beautiful little flower was growing in a field on a hillside at the edge of the woods. I think it might be a variety of campanula. Any ideas? Many of you will remember me mentioning Duncan a while ago - he has been following the blog since the early days and absolutely loves rescuing neglected machines and cleaning them up. After reading about the Dress-a-Girl dressmaking day at the sewing café he got in touch with Louise, the co-ordinator for the charity in this country. Duncan had a number of sewing machines that he wanted to donate, and asked Louise if she knew of a suitable charity. Louise put him in touch with Mark and Megan, who have set up a project in Uganda. They looked into the feasibility of shipping the machines to Uganda, and decided they would gladly take them. So last week Duncan drove half the length of the country with his car stuffed full of machines to deliver them to Mark and Megan. I spent a happy afternoon trying out machines with Duncan, Mark and Megan, and their friends Beth, Ellie and Laura. Mark took plenty of pictures, which he has put on the website for the charity Hope for Life Katanga This is the picture I particularly love - Ellie and Beth trying out the Singer 99Ks. The concentration on their faces! Beth had used a vintage electric machine with a knee bar in the past. Ellie told us she was hopeless with sewing machines, but once she got going there was no stopping her - look at her wheel, it's a blur! We all had a fantastic time together - gallons of tea to keep us going, and lots of enthusiasm all round. Let's all hope and pray that these machines make a real difference to people's lives in Katanga. Thanks again Duncan, and good luck to Mark and Megan with their project in Uganda! Welcome to two new followers today, Lorraine Jenkins and Erin Davis - thank you for joining! Some things you just have to practise, so this week I decided to start using all the cheap and cheerful fat quarters I have stashed in my cupboard. So far, all the free motion quilting I have done has been the same pattern, the meandering infill. It was time to try something else. As well as having lots of fat quarters in pretty cotton poplins, I have yards and yards of brushed cotton, left by my sister-in-law's mother. She was a great one for making nighties and pyjamas for her grandchildren. I have been making quilted panels with the fat quarters backed with brushed cotton. The wadding is polyester. This is a very economical project, and by the end of it I'm hoping to be confident with a range of patterns to use on my posher, more expensive projects. This one I started in the centre and worked out. With this one I tried to keep the lines wavy. This one looks like contour lines on a map. O-Level geography and all those Ordnance Survey maps came flooding back to me. Here is the front of the same panel. I am going to cut each panel into four rectangles and make a bedspread for my daughter. She is already looking forward to it, and particularly likes these strawberries. This post has been liked to the Celtic Thistle Stitches blog, so you can visit other blogs where people have been trying out something new this month. Plenty of inspiration and ideas there! Welcome to four new followers today - Bea, MQuilter, Nancy and Sylvia. Thank you for joining! I bought this machine some time in the mid 1980s. For a while it was my only sewing machine. It is a Singer 28K manufactured in 1896. In 1987 I used it to make my wedding dress, and in 1989 the christening robe for a very sweet baby boy. I particularly wanted this model because I had grown up using my mum's machine, also a 28K. This machine is interesting because it shows how machines used to be overhauled for resale. This front slide plate is an obvious mismatch with the back plate. The front slide plate is a replacement - the original slide plate would have had a stamp on it showing the patent date of 1886. When you open the front plate you see that the decals carry on under the plate. At the side, to the left where you would have the plate on a round bobbin machine, there is a gap. These decals were designed for use on a round bobbin machine. This machine was given a new coat of black japanning and a fresh set of decals - a bit like giving an old car a respray and a set of speed stripes. The face plate has the ornate grapevine design, totally out of keeping with the rather minimalist design of the decals. The original faceplate on this machine would have been plain. At the back, the screw that holds in the inspection plate has been given the blacking treatment - it really didn't need it! When I bought it, the machine came in a dark wood base and bentwood case. When I inherited my mum's machine I swapped the machines around, putting my mum's machine in the dark wood base and case, and putting this machine in the 1950s light wood base and old suitcase-style case that my mum's machine had come in. Somehow the light wood base suits this machine better. This machine went to a charity shop a couple of weeks ago. I hope the new owner gets years of good use from it - it certainly served me well. Now it is somebody else's turn to enjoy this machine. Hello to Armand, the latest follower. Thank you for joining! This is the quilt I made for Liz. These butterflies have had a long flight and have now arrived safely in Oregon. 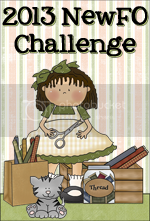 The theme for the February on the Doll Quilters' Swap was "Something I Love". There are few things I love more than watching butterflies on a buddleia bush - the colours, the movement, the scent of the flowers - so I did my best to turn it into appliqué. The butterflies are decorated with beads to give them a bit of a sparkle. This big yellow one is based on the shape of a brimstone. The butterfly on the flower has machine stitched legs. I decided that doing his tongue sticking down into a flower would be just a touch too much, but I can't help imagining it. The little purple pearl buttons were ordered specially for this project and came in the post from Hong Kong. The free motion quilting was done on the 15K treadle, and all the rest of the machine stitching was done with the 1927 Singer 99K hand machine. All the coloured fabrics are shot cotton from Oakshott - as always, the perfect colours for what I had in mind. This is a picture taken last September. These soft pink stamens were giving off clouds of pollen. Good job I don't get hay fever. Welcome to the latest follower, Catherine Couvreur. Thank you for joining! This beautiful little doll quilt arrived in the post yesterday from Liz in Oregon, my February partner on the Doll Quilters Monthly swap. It is so pretty! I love the traditional pieced designs, and Liz has used a lovely combination of colours. It measures 14 and a half inches square and is so neat and crisp. I particularly like the pink material with the vine leaves design - it is interesting yet unobtrusive. Today I have had a message from Liz that she has just received mine to her. She and I and the post offices have all been working to the same timetable. Thank you for being my partner Liz! This is the second piece of quilting, now transformed into a mobile phone cosy. This is the slightly more sophisticated version, fastened with a button and loop. I sewed on the button before doing the side seams - it would have been tricky getting the needle through to the inside otherwise. The loop is sewn firmly in place with a rectangle of machine stitching with crossing diagonals. Here are the two finished cosies side by side. Although they are made from the same quilted rectangle, the effect is different because I used them the opposite way round, so each one has a different part showing on top for the flap. My daughter's verdict is that they are a bit wide and square shaped. So what, said I. It all depends on the size of the mobile phone. This one has room for her mobile phone and lipstick. 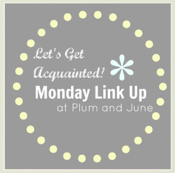 This post is linked to Barbara's blog at Cat Patches so you can see projects lots of other people have started in March... plenty of inspiration there!